Injured at Work in Charleston, WV? If you have been injured at work in Charleston or anywhere in West Virginia, report the accident to your employer right away, and contact us immediately. We fight on behalf of those who are unable to fight for themselves. Our sole goal is to ensure that you receive the financial relief and justice that you deserve as a result of your workplace injury. Because our personal injury trial lawyers have extensive experience handling all types of injury claims, we are uniquely qualified to assist you with your workplace injury lawsuit. We will thoroughly examine all aspects of your case. If neglect or reckless actions were a main contributing factor to your injury, you may have grounds to file a lawsuit against your employer and/or other liable entities responsible for providing you with compensation. From faulty equipment to blatant OSHA violations, we investigate fully to discover the truth and handle insurance-related matters on your behalf. Several types of serious injuries may occur in the workplace, such as broken bones, falls from heights, orthopedic strains and sprains, chemical exposure, brain injuries, and spinal damage. 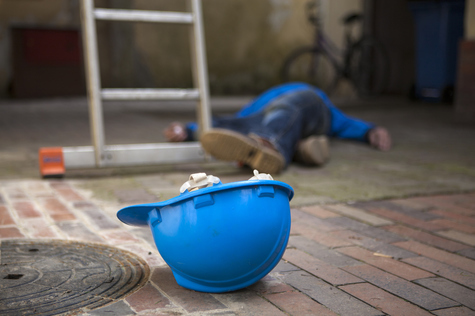 Whether you have been injured at the office, construction site, manufacturing facility, etc., your injuries have the potential to result in significant loss of wages, medical expenses, and possibly the inability to return to work. It is important to protect your right to recover damages for the injury that you suffered at work. Do not be intimidated. We are here to aggressively fight for you and prepared to take your case to trial if necessary. Contact Angotti & Straface Attorneys at Law as soon as possible following your injury at: (304) 292-4381. We provide a free initial consultation for injured workers in Charleston, Huntington, Parkersburg, Morgantown, Wheeling, and throughout West Virginia.